Form a Rodeo Committee which means recruiting people from the community who have the time and dedication to be involved in the event. Choose dates after consulting with the sanctioning rodeo association in question (ie: MRCA). Check what other rodeos are on that same weekend – it’s often beneficial to have two or three – not too distant – rodeos running on the same weekend as entries can be better. Check as well with your own and local communities to make sure your event won’t conflict/compete with something else in the area. Secure the facility for the dates you’ve chosen, including chutes… if no physical rodeo setup exists, talk to the stock contractors, rodeo association etc… to find out cost/availability of renting a mobile arena setup. At this time as well, check what/if insurance is needed for the event. A conversation with the fire marshal may be helpful to find out facility capacity/rules. Determine if the facility has a contracted person who runs a concession or if this is open for the committee to handle/hire. Determine a budget – even a rough budget at this point. Do some homework by talking to other rodeo committees and going to other rodeos. This step will provide ideas and help you firm up your budget. Once these early steps are handled, you are ready to move on. Hire event contract personnel – stock contractor(s), clown, bullfighters, announcer, rodeo secretary, timers, pickup men etc… (often the stock contractor hires the rodeo secretary, timers and pickup men; check to be clear on this). At this point, you may also wish to line up timed event cattle as well as sheep, steers etc… depending on which minor events you will be offering. Determine if a sound system will be needed; some announcers bring their own. Sometimes the building/arena provides one. Form a Sponsorship Sub-Committee and start covering local (small business) and national (Chrysler Canada, Labatt etc…) sponsorship possibilities. You may wish to tier your sponsor options. Chute gates, actual events, barrel covers etc… tend to be worth more as they garner more coverage for the sponsor. Clowns, announcer, outgates, program ads, signage etc… are other good options to offer sponsors. Decide on events surrounding the rodeo (dance, parade, pancake breakfast, beer garden, rodeo queen contest etc…). Determine what your rodeo committee is prepared to handle and what might be farmed out to local service groups. Designate rodeo committee members to handle the various jobs coming up, with the chairperson serving as an overall contact person. Decide on advertising which could include posters, newspaper and radio. Start advertising about three months prior to the event with increased frequency/placement of ads 2 – 3 weeks before the rodeo. 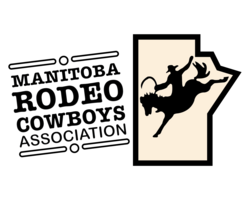 Plan your rodeo program; this can be completed by your printer once sponsors are in place, except for the list of contestants for each performance. As this information comes from your sanctioning rodeo body only days before the event, you will have to work with your printer to ensure the program is ready in time. Determine ticket prices and determine which local businesses could offer advance ticket sales. Line up a veterinarian and ambulance; these must be in attendance at each performance and at slack. Arrange also, for someone to run music for the rodeo – prior to and after the event, during each contestant’s run/ride and/or between events, during intermission etc…Arrange for rooms for contract personnel if this is part of the arrangement made with these individuals. Make sure local media have been contacted and encouraged to come out and cover the rodeo. Start on the physical preparation for the event, particularly if the event is being held outdoors. Hold a work bee to cut grass, paint, repair pens, bleachers etc… If pens are needed to hold livestock, panels may have to be rented and set up. Check on available water and feed for the stock. Line up equipment to work the arena, rakes to rake barrels during the event, a water track to dampen dust etc… Ensure garbage cans and washroom facilities are available. Set aside an area for cowboys/cowgirls to change. Arrange for signage for the paying public and contestants and ensure someone is designated to set it up. Make sure a concession will be available – either through the facility or via church/service groups from the area. Finally, enjoy the event, finish the cleanup, place a thank you ad in the local paper and plan a social for all those folks who made the rodeo happen! Oh, and don’t wait too long before you start on next year!